You are at:Home»Herbs»Ipomoea turpethum R. Br. Latin name : Ipomoea turpethum R. Br. Description : The root-bark of white variety of Turpeth is powerful purgative and used to facilitate bowel evacuation in the most dramatic cases of constipation. 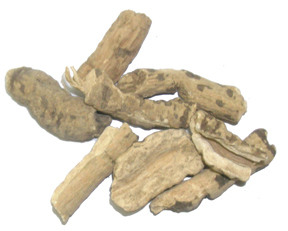 It is so strong that it must be combined with such other herbs as ginger, licorice, or some other digestive stimulant. It is occasionally used in colic and pain in the intestinal region, dysentery, colitis, arthritis, paralysis, hemiplegia and rheumatism. Also useful in sluggish liver, jaundice, obesity, cough and asthma. It is also successfully employed in cases of dropsy due to heart, kidney or liver disease. Recommended Dosage : 3 to 5 g powder of root-bark.